As spring is budding at The Cove, Culver Middle School continues their work in the wetlands. 165 students came to the park to plant 200 osier dogwood whips and 200 coyote willow whips. This labor intensive work required students to trudge through hard muddy ponds, dig holes, plant the whips and net them so voracious herbivores would not eat them before they had a chance to sprout and then haul water by hand in buckets – not unlike the routine of homesteaders in the late 1800’s at The Cove. Students raked the new interpretive nature trail that has been put in by park staff. Mr. Habliston showed students how to put in GIS plots to track and map the plant growth near each pond. Culver High School also came out to visit previous STEM projects and monitor their progress. Irrigation water filled the ponds last week which will increase the growth rate of the new whips. In the classroom, students are planting showy milkweed by seed. This week they were rewarded when the seeds sprouted new growth. Next month the new Certified “Milky Way” Monarch Way Station will be planted along the new Crooked River Wetlands Nature Trail – check back for photos. Have you ever wanted to teach others about nature, geology, history, astronomy, fishing, or outdoor safety skills? Have the Central Oregon High Desert as your classroom? Do you like being around people? You can do all these things as an interpretive host at The Cove Palisades State Park. This is a fun and rewarding opportunity in a breathtaking location. As an interpretive host you will be an important part of hundreds of family’s summer vacation memories. Just to name a few resources to inspire your creative energy… the Cascade Mountain Range, Lake Billy Chinook, a rich and interesting local history that includes Native Americans, pioneers, homesteaders, farmers, fisherman and more, a variety of wildlife from bats to cougars, birds of prey and the unusual whip-tailed lizard, and a vast dark night sky filled with billions of stars, planets, galaxies and of course the full moon. 4th of July weekend and National S’mores Day are extra fun events here in the park with campground parades, family fun games and campfire programs. If you like to work with kids, we offer Junior Ranger Programs daily in the summer. You even have the opportunity to dress up as the Oregon State Parks mascot J.R. Beaver! Each host site provides water, power, and sewer service to make you feel right at home while you are here with us. We hope you will come join us at The Cove! 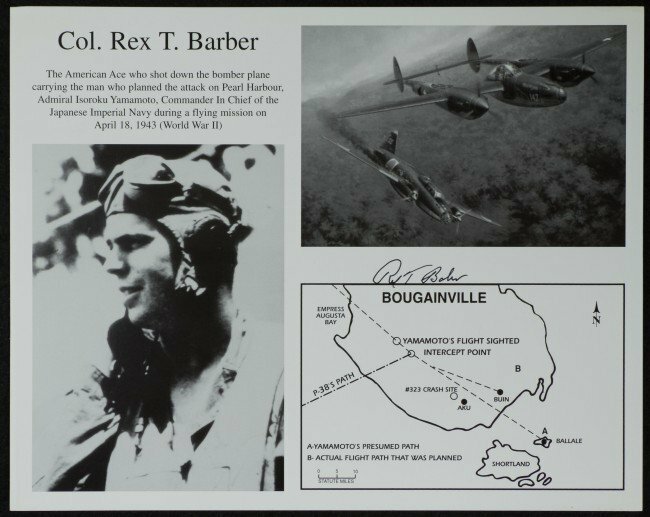 Colonel Rex T Barber (1916 – 2001) served in the United States Army Air Corps in World War II and came home to Culver, Oregon a war hero. 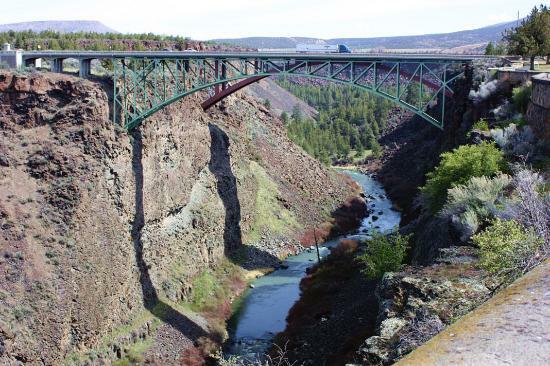 If you’ve driven on Hwy 97 between Redmond and Madras, Oregon you’ve traveled over the Rex T. Barber Memorial Bridge. His memorial is located at Oregon Parks & Recreation Department’s Peter Skene Ogden Wayside in Terrebonne. Monday, April 18th is the 73rd Anniversary of Barber’s Victorious Bombing Raid that brought down Admiral Isoroku Yamamoto. Rex was born and raised in Culver, Oregon by his parents Charlotte F. Barber and Col. William C. Barber. He received his bachelors degree in agricultural engineering from Oregon State College and enlisted in the U.S. Army Air Corps. Barber received his commission as a U.S. Army officer and his pilot’s wings on October 31, 1941. He joined the 70th Pursuit Squadron, which arrived at Guadalcanal, Solomon Islands, in December 1942. Flying a Bell P-39 Aircobra, he scored his first victory by downing a Japanese bomber. Upon transfer to the 339th Squadron, he began flying P-38 Lightnings and claimed two Zero fighters. Admiral Isoroku Yamamoto served as Commander in Chief of the Imperial Japanese Navy and was Japan’s foremost military leader and planned the attack on Pearl Harbor December 7, 1941. Yamamoto was on America’s Most Wanted List. 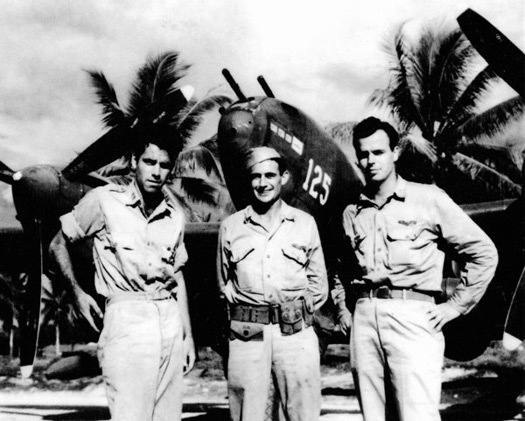 On April 18, 1943, Lieutenant Barber participated in Operation Vengeance. Intelligence sources had learned that Yamamoto would be flying in a “Betty” bomber (torpedo bomber aircraft) on an inspection tour of Japanese bases in the northern Solomon Islands. After his tour of duty ended in June 1943, then-Captain Barber requested a return to combat. Late that year, he joined the 449th Fighter Squadron in China, still flying P-38s. He claimed three further Japanese planes probably destroyed and damaged, but he was shot down on his 139th mission, bailing out near Kiukiang on April 29. He was rescued by Chinese civilians, who treated his injuries and escorted him to safety five weeks later. At the end of the war, Barber attained the rank of major and commanded one of America’s first jet squadrons. 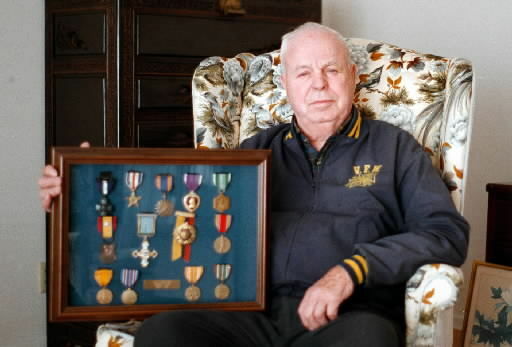 He retired as a Full Colonel in 1961 with a Navy Cross, two Silver Stars, a Purple Heart and several air medals. Upon his military discharge, Barber returned to Culver, Oregon, where he lived with his wife, Margaret for the next forty years. Rex and Margaret had two sons, Rex Jr. and Richard. He worked as an insurance agent and, at different times, served the City of Culver as mayor and judge. You can visit Barber’s Memorial located near the south end of the bridge, at the Peter Skene Ogden Wayside, Terrebonne, Oregon. Monday, April 18th from 10 am – 2 pm volunteers will be onsite to direct visitors to the memorial and answer questions.